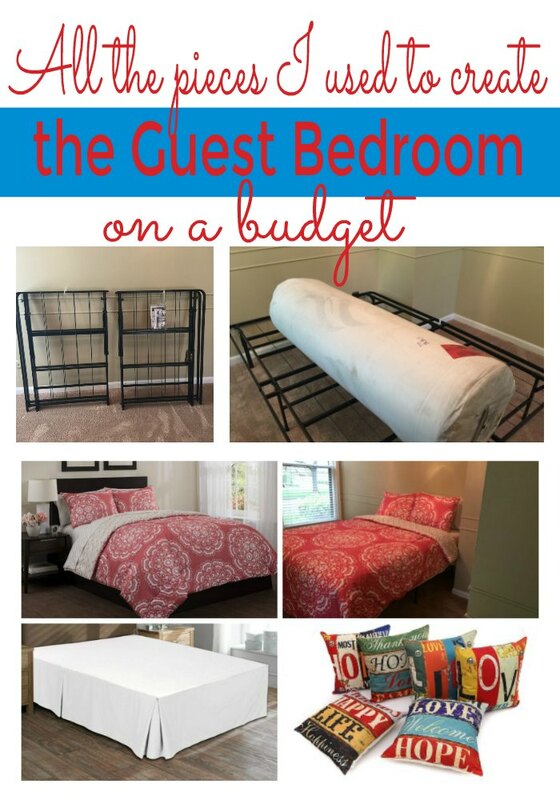 How To Decorate the Guest Bedroom on a Budget - Start with the Bed Add to Flipboard Magazine. 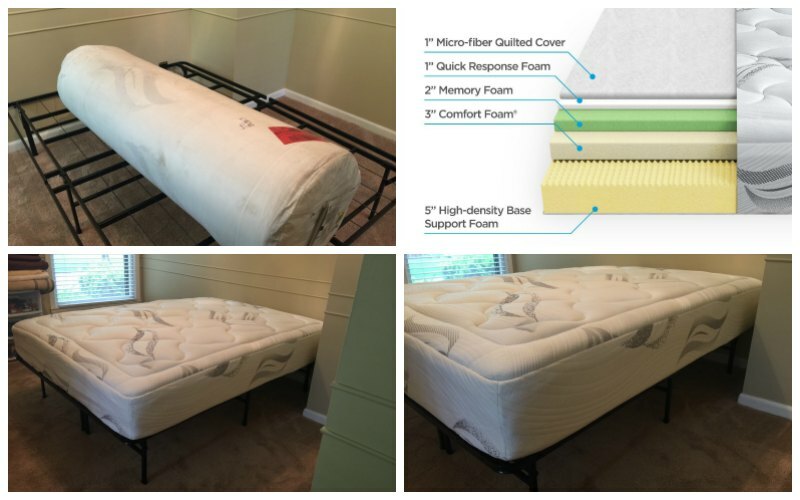 Zinus 12 Memory Foam Mattress – Best Bed for the Guest Room….EVER! 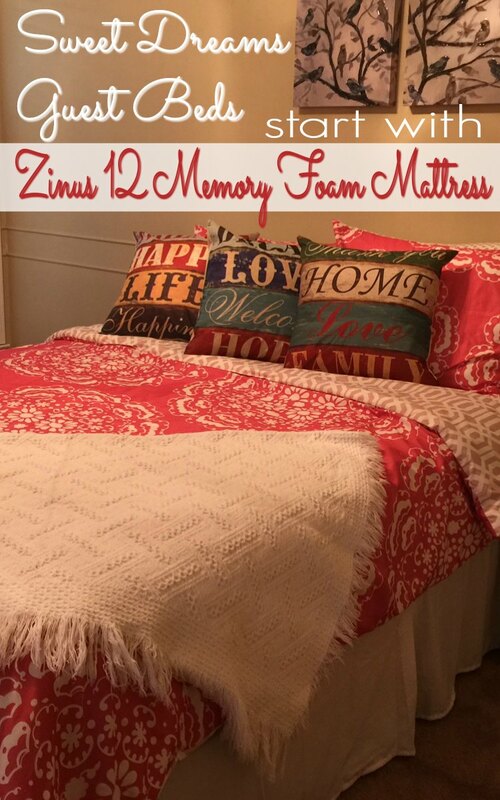 I discovered the Zinus 12 Memory Foam Mattress from my daughter who had purchased 2 of them for their new home. Right away I knew I had to have one too. They are so comfortable and yet, so inexpensive. 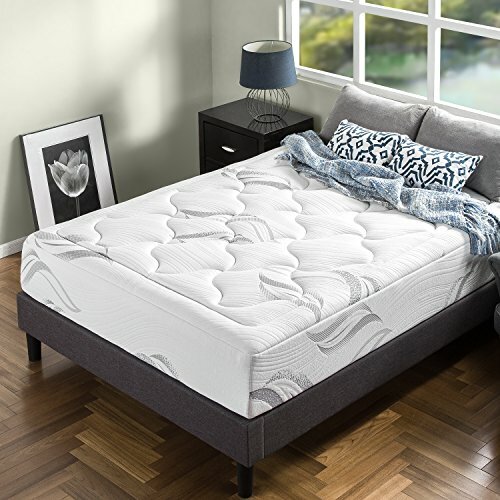 I think it is the best inexpensive mattresses I have ever slept on. 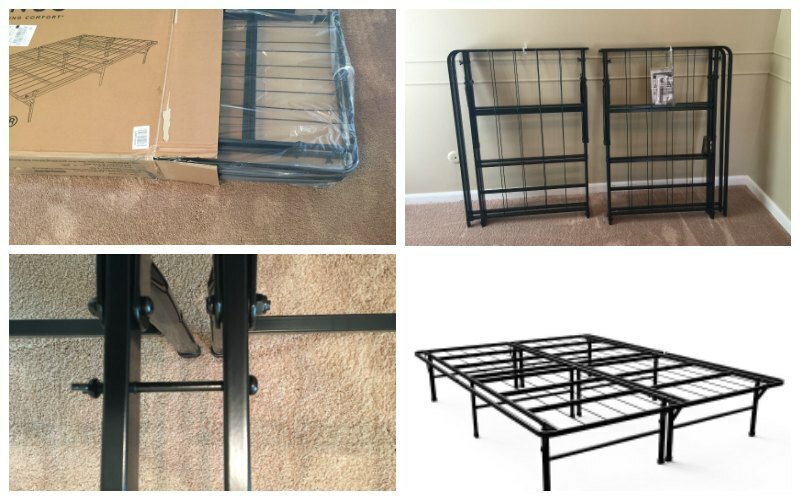 You don’t need box springs, you can put it on the platform bed made for this mattress or you can put the mattress right on top of an existing box springs. Either way, you are going to love it. 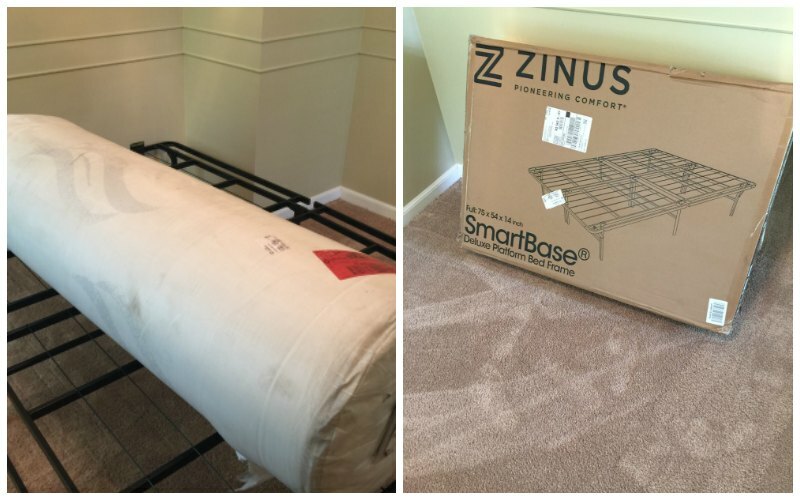 The Zinus 12 Memory Foam Mattress arrives in a roll and the platform bed frame comes in a box. Be sure to get the 12 inch. It’s like floating on a cloud. We have a king size Tempurpedic mattress, but my husband likes the Zinus 12 Memory Foam Mattress so much more. Our king size bed is too hard for him and I am sure we will have a new King size Zinus 12 Memory Foam Mattress on our bed soon. This is what the packages looked like when they arrived at my home. The platform bed was in a box and as you can see the mattress is rolled, but it’s in two bags to protect it. Once you cut the bags off, it begins to fill with air….slowly. They suggest you don’t sleep on it for 24 to 48 hours to give it time to fill completely. First thing I did, and I did this by myself, was get the platform bed frame out of the box and set in the room where I want it to be. Once I got the plastic off and unfolded it there were supporting brackets on each corner I had to put in place and tighten the wing nut. After that it was just 2 long bolts to tie the platform bed frame together. It took me maybe 20 minutes to do all that. Not very long at all. It’s not heavy, so that wasn’t an issue for this old grandma at all. 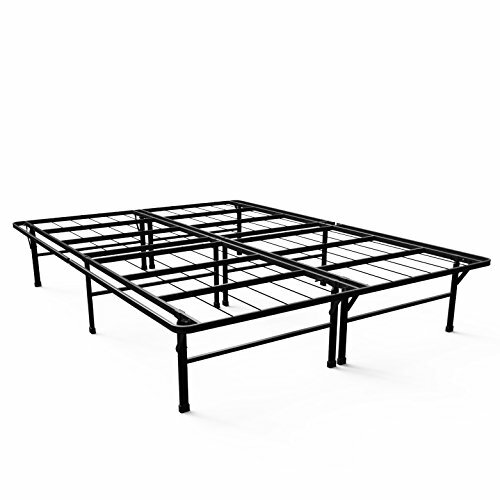 Once the platform bed frame was set in place, I dragged the mattress into the bedroom and put it on the frame. The most time consuming thing was cutting off the mattress packaging without cutting the mattress. Once I got it off, I laid it on the bed and walked away. I took a before and after about 45 minutes picture. You can see the difference in the pictures below. 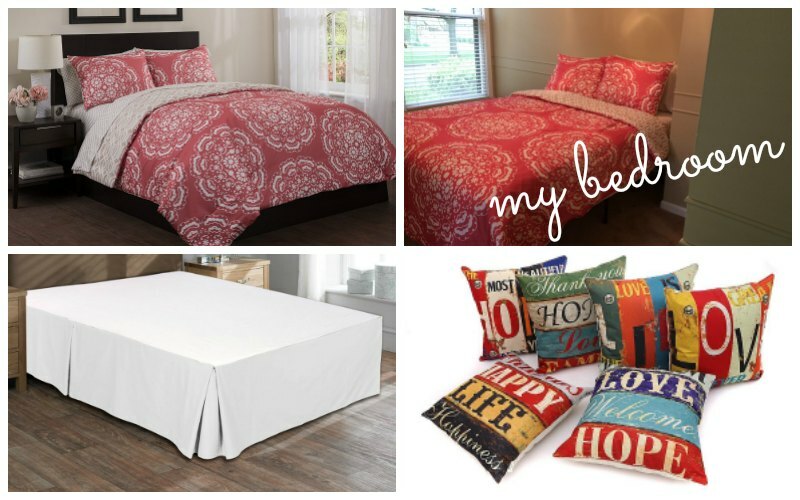 I bought a comforter set that was extremely inexpensive and I love it. 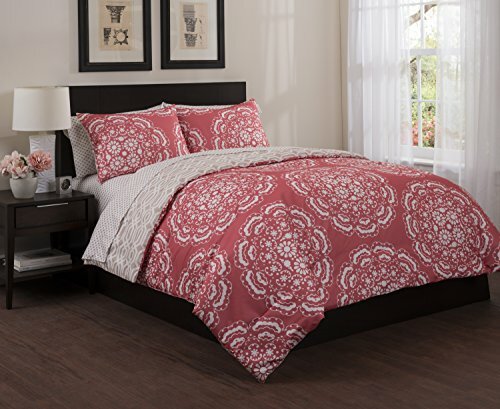 It is called Floral Medallion Bed-in-a-Bag Comforter Set from Amazon.com. Everything I bought was from Amazon. It came with the sheets, comforter and pillow shams. 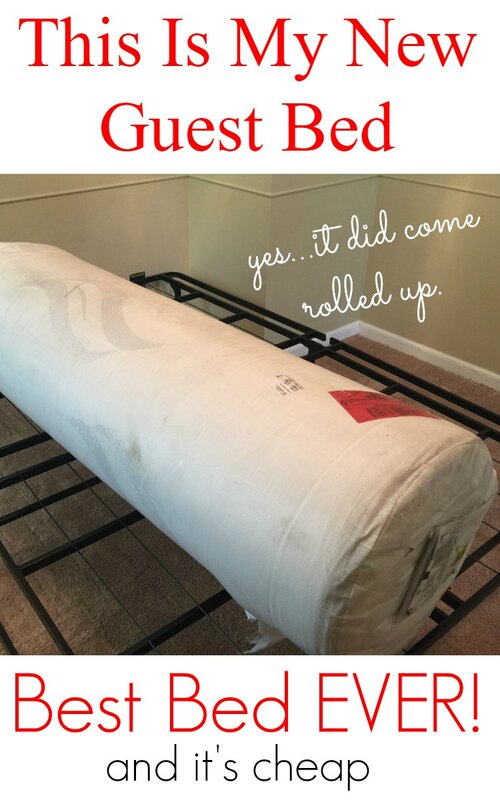 I also bought a dust ruffle because comforters don’t usually go down far and this platform bed is tall enough to that you can store things under it. So the dust ruffle will hide my storage tubs. The last thing I bought for the new guest bed was accent pillows. 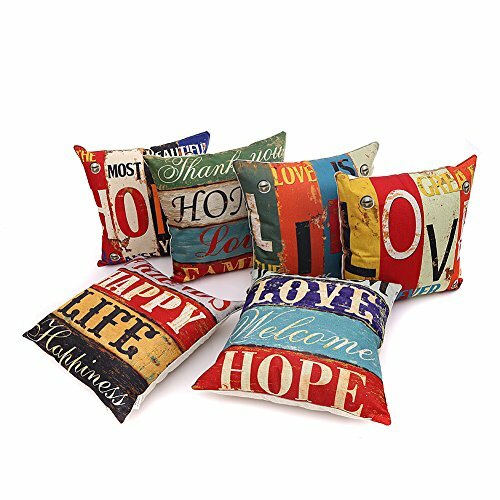 I was excited to get these pillow all in a set because pillows are expensive. I got 6 pillows, 17.5 square inches, for less than $20. I was excited. Now granted, these are just the cases, I had to buy the filler pillows to put them on. 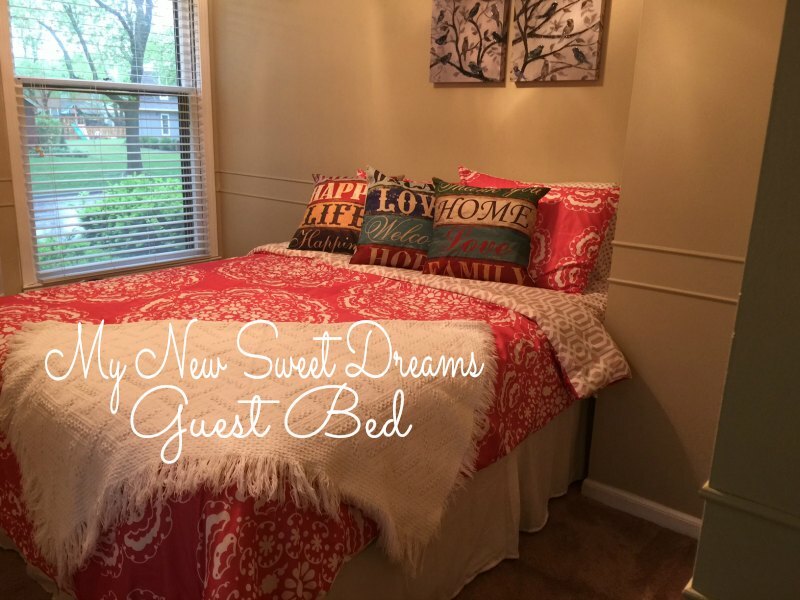 My New Sweet Dreams Guest Bed Is Done and Ready for Company! 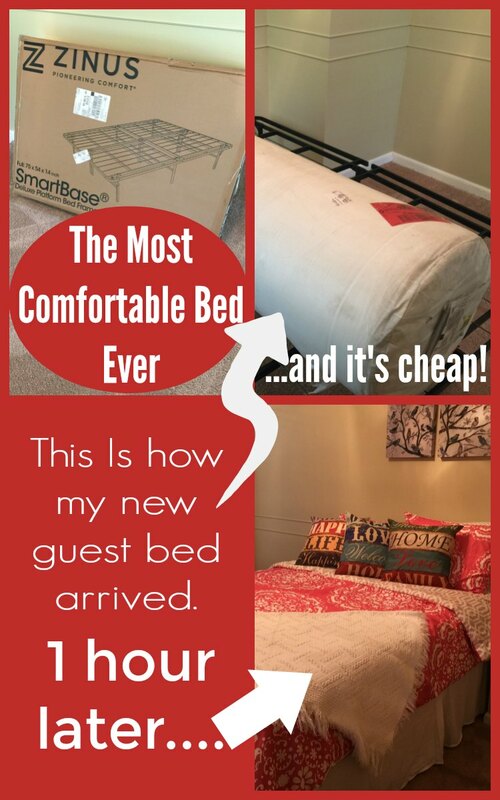 “I am so glad I read your post about the Zinus Memory Foam Mattress. I ordered my mattress right away and I love it! 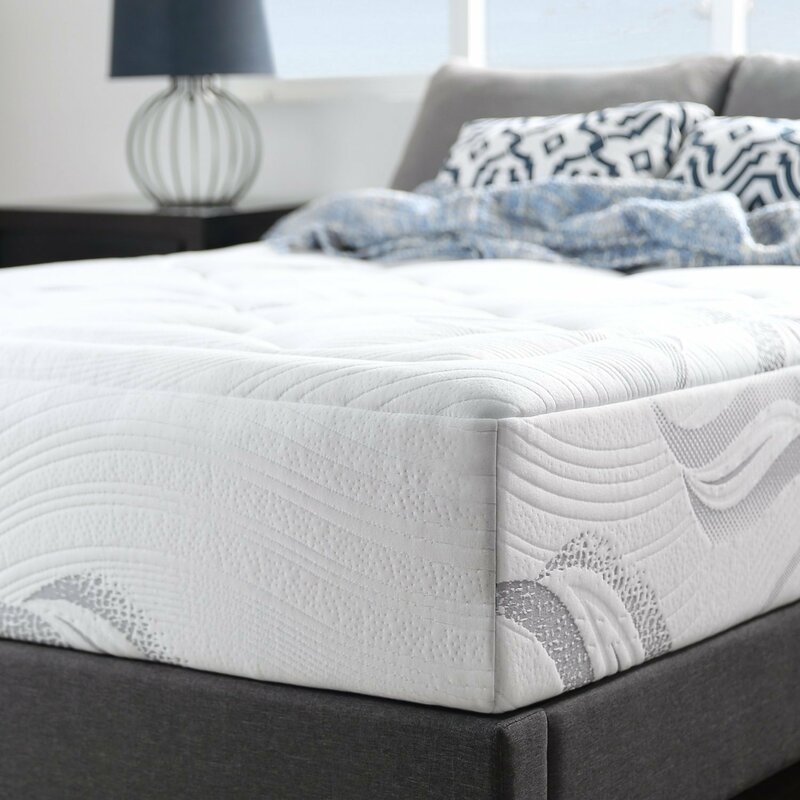 As a senior citizen with back issues, I was concerned about such an inexpensive mattress, but I have less back pain after sleeping on this mattress. Is it firm or soft? I don’t think it’s either. It’s more like sleeping on a cloud. I also got a new alternative down comforter, so I am sleeping on a cloud and under a cloud. It’s a bed fit for a queen!